I mean, I wouldn’t usually be thinking about buying a lighter weight coat as I sit shivering amidst Storm Gareth (who names a storm Gareth?) but in all honesty the recent spate of delicious weather (pre Gareth, obvs) has lured me into thoughts of spring and how I might need to ditch my winter coat soon and maybe bare my ankles, hmm? The shop is full of dreamy spring coats right now and our shop girl chat has most definitely turned to what we’ll be wearing instead of in my case, last season’s navy FOLK coat (which I must commend for keeping me sooo cosy this winter). Let’s face it – Spring is a diverse season. It can host all sorts of possibilities so we need options, right? 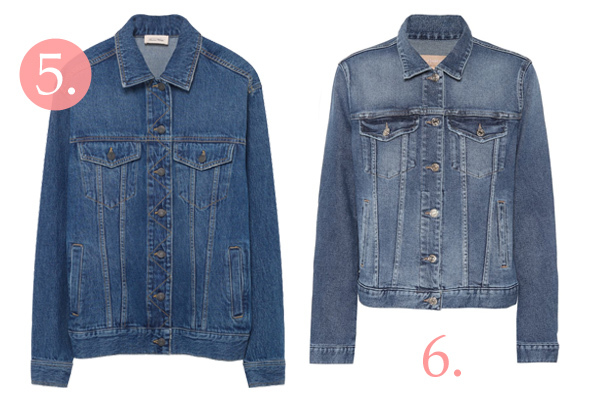 So, grab a cuppa and let’s talk coatage. Yeah, you’ve probably realised by now that this trend isn’t going away. Leopard is, after all considered a neutral. 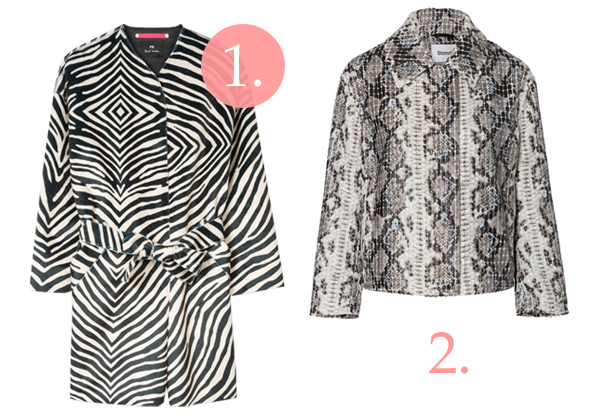 So, zebra and snakeskin prints seem to be taking centre stage this season. The PAUL SMITH faux zebra skin coat for example, will be as happy over your work wear as it is with your jeans and T shirt at the weekend. We are particularly fond of the collarless neck, which makes it so fresh and modern. 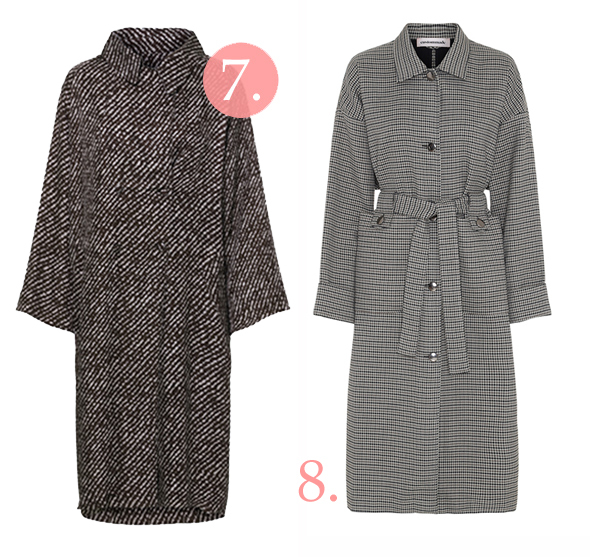 For the busy bees dashing from car to appointment, to car to school run and so on will find the versatility of the textured STAND snakeskin jacket their friend. 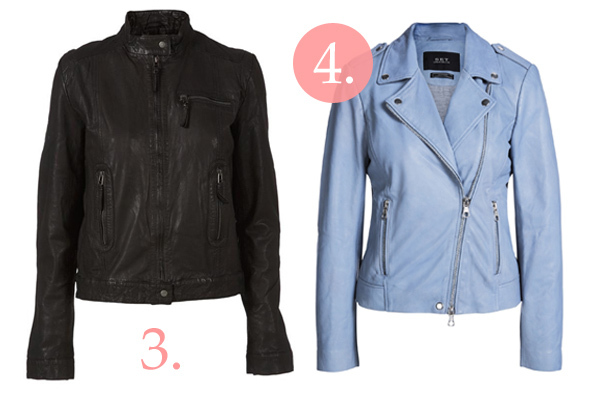 It’s easy to sling over a lightweight sweatshirt and/or a maxi dress – it’s that easy go to jacket that’ll lighten and freshen your winter knits. The DJ – is having a little resurgence. I don’t really need to sing it’s virtues, we know the drill, it kinda goes with all (except matching jeans, that’s definitely still not a good vibes look!) So this season you’ll find me skipping through spring meadows in floral maxis in either the AMERICAN VINTAGE offering (it’s a bit more oversize) or the softest of denim 7 FOR ALL MANKIND – literally imagining I’m in a Marc Jacobs perfume ad. Just joking! But, I will be investing in one and probably the ASH Heidi Bis ankle boots to give my look a little western cow girl update that’s going on right now. 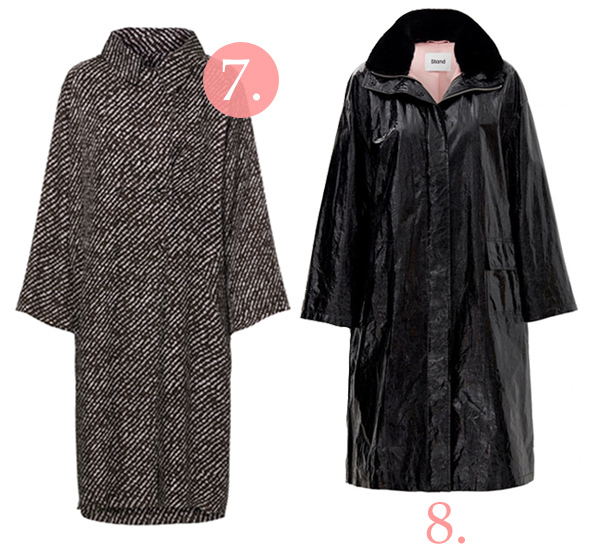 Not to be confused with your favourite disco dance move (I know, I know, it was the prosecco that made you do it) these are actually pretty easy coats to transition into after you’ve had your winter coat dry cleaned and put away. Lightweight, slouchy, these are going to be a good all rounder. Us shop girls have been swooning over the RABENS SALONERs printed aubergine style, we love the buttons. Then CUSTOMMADE has done a Sherlock’esque’ checked trench that is so utterly charming it’s a tough gig having to choose so we’ll leave that to you. Pop in and say ‘hello’ and any of us will be happy to help you find your perfect spring coat and as always, we’re happy to help you style it your way.